For sale! St Ceinwen’s church and holy well are currently on the market. 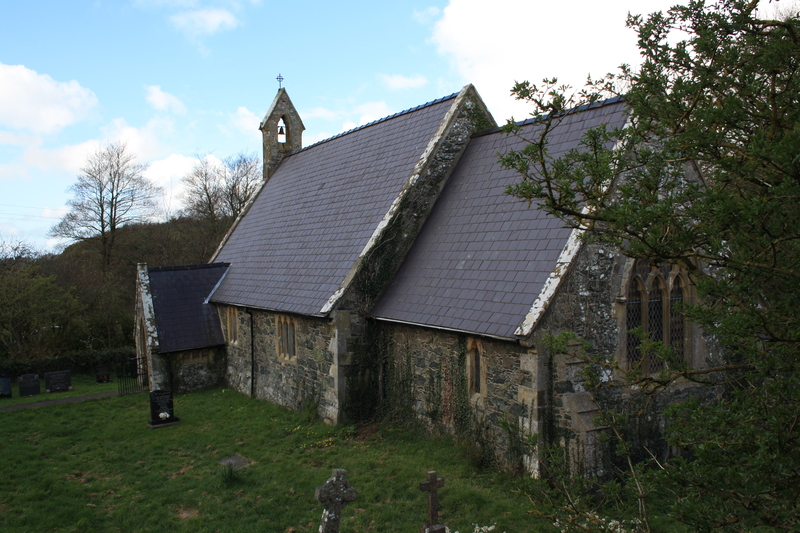 Unfortunately the sale conditions specify that the name of the building must be changed by the purchaser and that no reference to St Ceinwen or a church can be made. There goes my chance of a lucrative business selling cures at the well then. 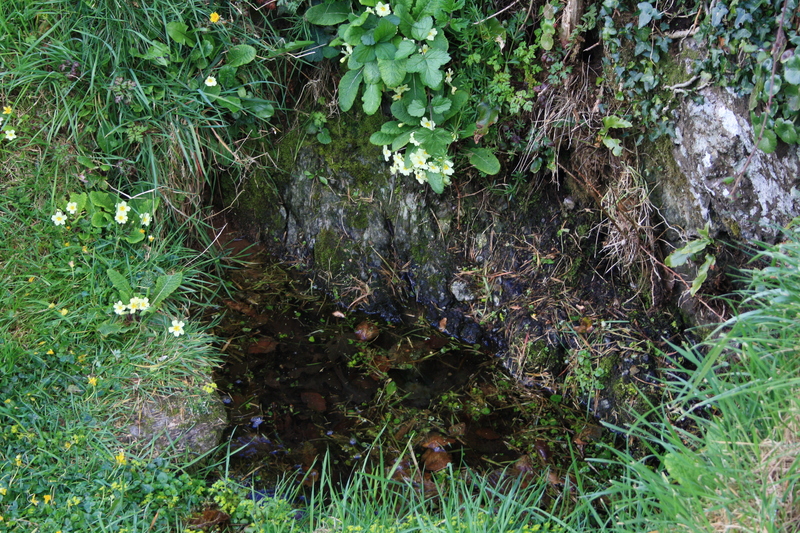 The well is actually known as Ffynnon Cerrigceinwen, taking on the name of the village rather than that of the saint herself. Cerrigceinwen being translated as “the stones of St Ceinwen”, which refers to a rocky outcrop close to the church (editted). Cerrigceinwen is in the centre of Anglesey, a couple of miles south west of Llangefni. St Ceinwen was one of the many daughters of Brychan, a fifth century king of Brecknockshire (Breconshire). Brychan is variously reported as having had up to three wives and up to sixty children. It was written that of these children twelve males and twelve females became known as saints. Ceinwen’s name was actually Cein, with the alternative spellings Cain and Keyne. Ceinwen is formed from “Cein” and “gwen” meaning the holy or blessed Cein. Cein has, in some accounts, been credited with skills in dragon slaying and turning lizards to stone. Commemorated in poems by Richard Carew (1602) and nineteenth century poet laureate Robert Southey, the belief was that whichever partner drank first from the well following a wedding would have the upper hand in the marriage. 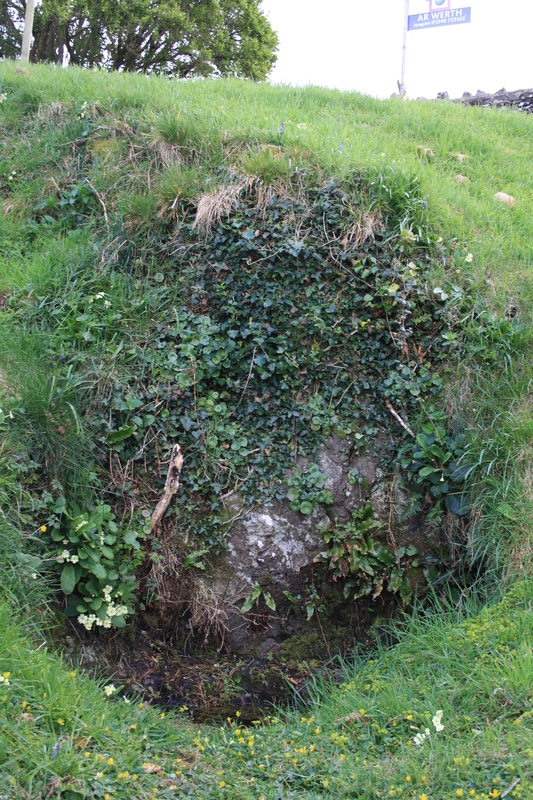 Southey – The Well of St Keyne. So her associations further north and in particular with this area of Anglesey are unclear. However, there must be definite reasons for it, since apart from this church there is another in the nearby village of Llangeinwen supposedly founded by her, and her sister Dwyn’s own church and well are found on Llanddwyn island also close by. Baring Gould’s Lives of the British Saints suggests that both sisters settled in Anglesey as neighbours. 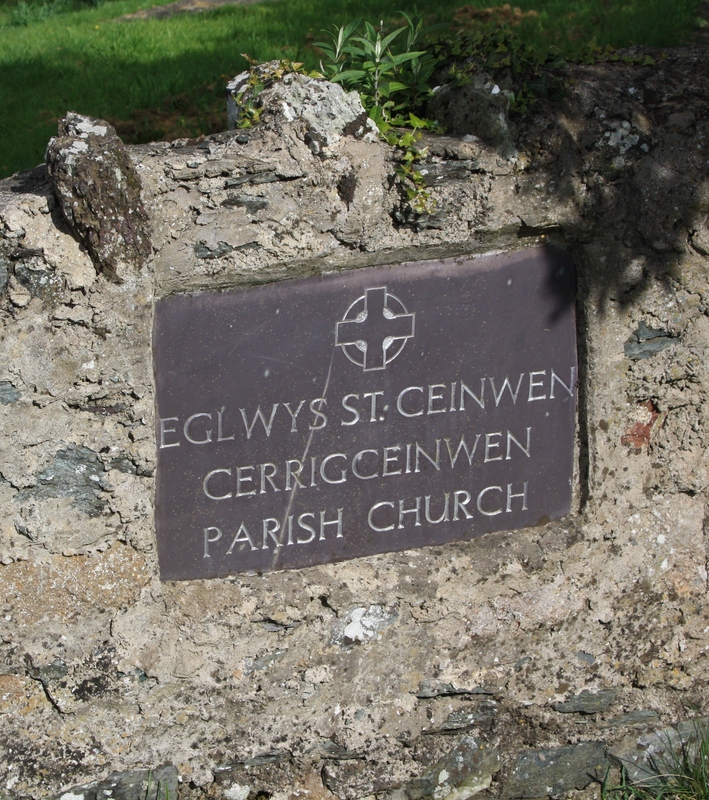 Ffynnon Cerrigceinwen lies in the churchyard opposite the main door of the church. 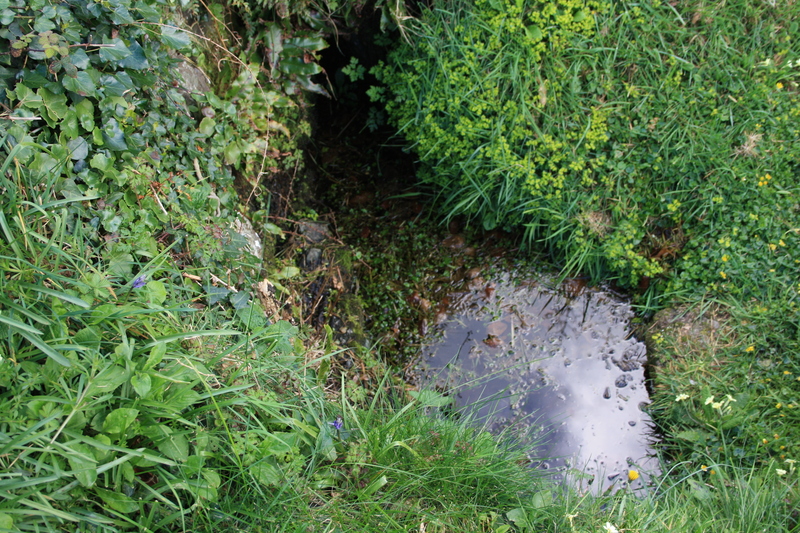 It is a simple well consisting of a deep pool backed by a natural rock wall set in a grassy hillside. It had a reputation as a healing well, although details of its efficacy for any specific ailmenst have been lost. St Ceinwen’s festival is celebrated at Cerrigceinwen on October 7th, although other authorities suggest that it should be either October 8th or the second Sunday after Michaelmas. The stones referred to in the name Cerrigceinwen are a rocky outcrop which you can see from the road if, on leaving the churchyard, you turn right and walk a short distance up the road (in a westerly direction), then look north.